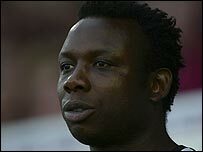 Leroy Rosenior has been sacked as manager of Brentford after the Bees' 4-0 defeat at home to Crewe left them without a victory in 16 matches. Rosenior, who only took over the club in June, has come under increasing pressure with the Bees two points off the bottom of League One. And, after last week's FA Cup defeat to Doncaster left him clinging to his job, the board have terminated his contract. Scott Fitzgerald, the club's youth team boss, will take over temporarily. A club statement read: "Directly after the game against Crewe the Brentford board met and decided an immediate change was required. "As a result the board decided to terminate the contract of Leroy Rosenior with immediate effect." And Bees chairman Greg Dyke added that Rosenior's departure is in the club's best interests. "Obviously we don't do these things out of the blue. We had been working on a plan B over the last few weeks in case Leroy had to go. "There are still a lot of games to go and we are not halfway through the season. If get the right manager and a bit of luck with injuries we can stay up."